Going in, U.K.’s Olivier Awards, handed out yesterday at London’s Royal Albert Hall, looked to be a Harry Potter-dominated affair. It turned out to be true. 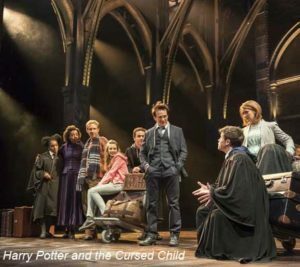 On the West End’s biggest theater occasion, John Tiffany’s smash two-part production of J.K. Rowling’s book Harry Potter and the Curse Child led the pack with a record-breaking 11 nominations. It won nine: Best New Play, Director, Best Actor – Jamie Parker, Supporting Actor, Supporting Actress, Costumes, Design, Lighting, and Sound. It arrives for its Broadway debut next Spring at Ambassador Theatre Group’s Lyric Theatre, which will undergo massive renovations upon the close of Cirque du Soleil’s Paramour – one major redo will be relocating the entrance to 43rd Street. Tiffany was twice blessed with director nominations for Harry Potter… and the revival of The Glass Menagerie, starring Best Actress nominee Cherry Jones. 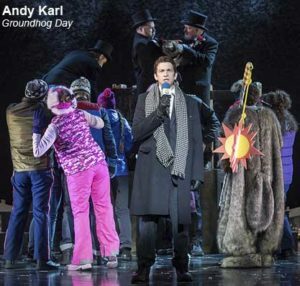 In the musical category, the stage adaptation of the 1993 film Groundhog Day, which has a huge cult following, by Tim Minchin and Danny Rubin (book) picked up eight nominations. It took trophies for Best New Musical and Best Actor – Andy Karl, who’s reprising his role here. The show is in previews for its opening next Monday [April 17]. 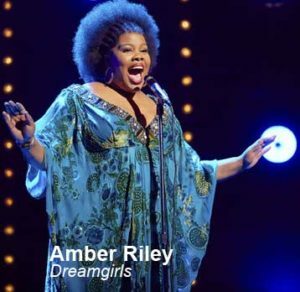 The much-belated London premiere of Henry Krieger and Tom Eyen classic musical Dreamgirls landed five nominations, with Amber Riley (Glee) named Best Actress for her powerhouse turn as Effie. It also scored a Supporting Actor win. Tim Rice and Andrew Lloyd Webber’s Jesus Christ Superstar received six nominations, and took the award for Best Musical Revival, for a highly-acclaimed production in Regent’s Park, being revived again this summer. After a 25-year absence from the stage, Glenda Jackson earned her first nomination since 1984 as King Lear in the play of the same name. Ian McKellen picked up his 10th nomination for best actor for No Man’s Land, reprising a role he played on Broadway. Other notable U.S. nominees included Glenn Close and Ed Harris. The Oliviers are produced/presented by the Society of London Theater. For a complete list of nominations and winners, visit www.OlivierAwards.com.